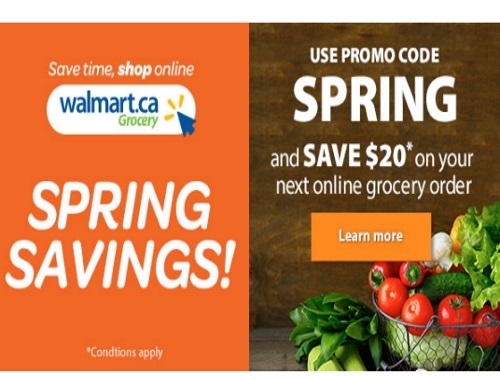 Walmart is offering some Spring Savings! Save time on shop online for your groceries! You'll need a registered account to redeem promo codes and eVouchers. Promo code may be redeemed for Online Grocery only. Walmart PickUp fee and/or shipping fees may be charged where they’re applicable. Minimum Pickup order value is $50 before promo code can be redeemed. Offer expires March 31 2017. Please check your area, but I think this is only valid for Great Toronto Area, Edmonton and Ottawa (not confirmed).